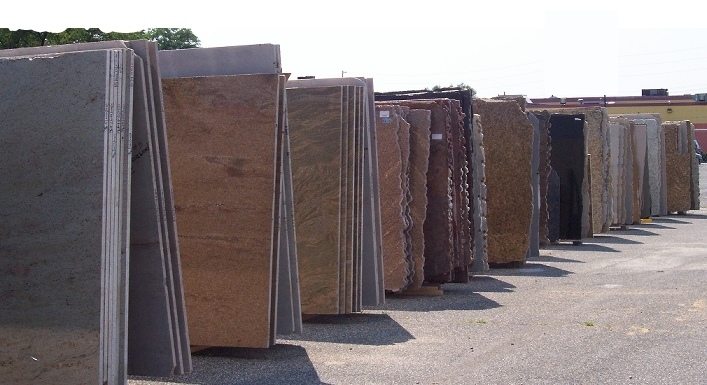 Exotic Stones and Fabrication offers expertise in granite-tops and stone countertop designs. Our in-house fabrication and slab selection center is one of the most creative design center on Long Island. We offer the best of both in a single location. Exotic Stones and Fabrication is by far the easiest, most convenient way to select and purchase custom stone countertops. From stone slabs, to sinks and faucets, to field measure and complete fabrication and installation, we offer everything you need in one location. 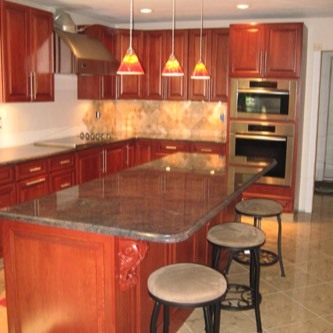 Every granite countertop we fabricate is custom made, no two countertops are ever the same. 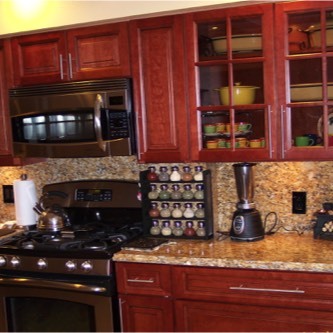 Granite is extremely durable and easy to maintain. Unlike laminates and other synthetic surfaces, granite has the ability to withstand extreme temperatures and is the hardest countertop material available. Our granite comes from quarries all over the world including Europe, South America, India and the US. Our suppliers go to great lengths to offer a premium granite selection that is diverse, highly unique and universally appealing. Whether your decor is rich and elegant, or conservative and simple, you`ll find granite to be a perfect and beautiful complement to any home or business. Granite-tops is just the beginning. Take a look at our other stones and quality designs using Quartz and Marble. You`ll see Exotic Stones and Fabrication is not just another pretty face fab shop. Let our expertise help you fall in love with your kitchen, bathroom, lounge, pool and sauna area all over again! We don`t ask for much, but the smiles on our customers faces may be reward enough. So if you`re looking for that special touch, we`re here to give it to you. Let us handle your entire project from start to finish. Our goal is to make purchasing custom stone countertops a hassle-free and enjoyable experience. At Exotic Stones and Fabrication, we understand that our clients have busy lives and that`s why we have added kitchen cabinets, as well as faucets, and sinks to our showroom. This makes our business truly a one-stop shop simplifying your lives. Copyright (C) 2011-2017 Exotic Stones and Fabrication Inc.